How much wood would a woodchuck chuck if a woodchuck could chuck wood? None if local jewelry labels Dominic and Billy Would have anything to say about it. Both of these lines use reclaimed wood salvaged from furniture designers, woodworkers, and factories. 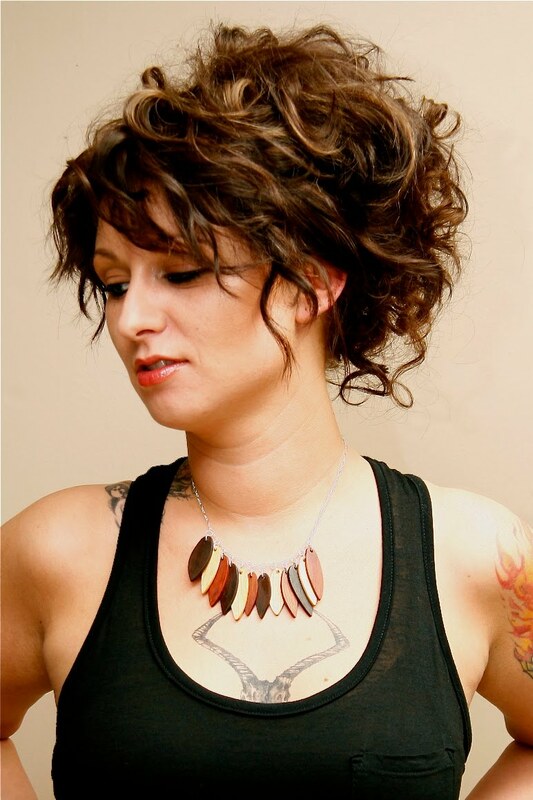 In other words, these designers rescue leftover wood bits and turn them into unique necklaces and earrings. I purchased the 'Dominique' earrings from the LYNNsteven Boutique in Gastown and was amazed at how light they were. The bamboo squares are sanded and polished until they glow with an organic warmth, and their neutral tone and simple geometric shape make them versatile enough to go with a lot of outfits. If you like the drama of large earrings but worry that wearing them all the time will stretch out your earlobes, consider wood earrings. Materials like bamboo, rosewood, and exotic hardwoods can make a statement without weighing you down. Statement necklace lovers will find a lot to love about bib necklaces and pendants made from reclaimed wood too. In Vancouver, Dominic is available at the LYNNSteven Boutique (225 Carrall St) and Billy Would is sold at Two of Hearts Boutique (3728 Main St), but you can also order directly from the labels' websites. Would you ever consider wearing wooden jewelry? Do you have any favourite wooden jewelry pieces lurking in your collection? Great post! This is one of my favorite uses of reclaimed wood yet, and I work with the stuff everyday! Will be tweeting to followers ! Especially loving the necklace in the last pic! Erin, thanks for tweeting about this post! What great items! 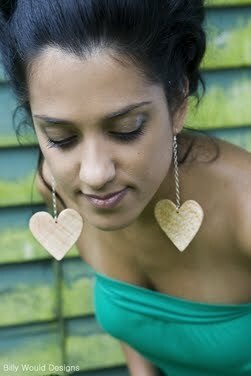 Love the heart earrings!